It’s the biggest city in Canada, the 4th biggest city in North America, and the centre for many industries, so it’s no surprise that there is such high demand to live in Toronto. Fortunately, there are lots of new home developments getting underway to help meet the demand. They can be found throughout the city and are a mix of high-rise and low-rise, high-density and low-density. Despite there being so many new homes developments, there are certain projects that catch the eye more than others. Whether it be the name, design, location, or just a certain je ne sais quoi, they have something that makes them stand out. We took a look at these projects to find the most exciting new home developments in Toronto right now. This new project has it all. A fantastic and unique design that sets it apart from other buildings in the crowded skyline. A superb location in the Entertainment District, which is one of the hottest areas for Toronto real estate at the moment. Best of all, it bears the names of two of Toronto’s most famous sons. The Mirvish part of the title comes from the Mirvish family – famous for helping create the city’s Theatre District, among other things. The other half of the name is taken from Frank Gehry, the Toronto-born architect famous throughout the world for his awe-inspiring buildings. Gehry is responsible for the design of this development – his first residential project in his home town – and that has helped Mirvish+Gehry to stand tall amongst other projects in the area. Exciting things are happening in East Bayfront – the neighbourhood on Toronto’s waterfront that sits immediately south-east of downtown. It was a long-neglected area but all that has changed in recent years and it is becoming the place to be thanks to some of the exciting new home developments taking place there. Sugar Wharf Condominiums by renowned developer, Menkes, will stand in the centre of this developing neighbourhood on the site of the old LCBO lands. Aside from it’s brilliant location, this development stands out for its sheer scale. 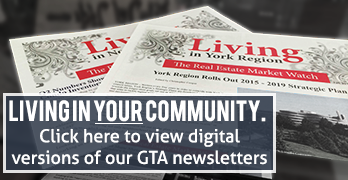 There are a number of residential buildings planned as well as office buildings, retail space, a new flagship LCBO store, and even a school. 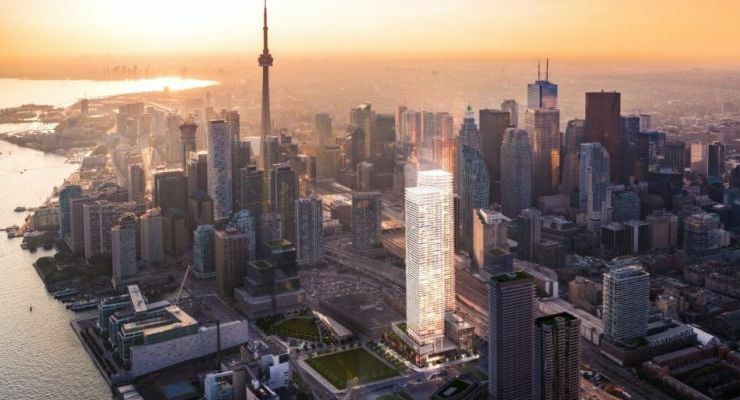 The whole complex will be connected to Toronto’s underground PATH system and it is expected that up to 8,000 people will live there, with a further 4,500 people expected to work there. In-fill land in Toronto is rare, expensive and notoriously difficult to develop so this drives most new home developments to focus on high-density housing. As such, condos and townhomes are more common than other types of home and it’s something of a rarity to see new detached family homes in the city. 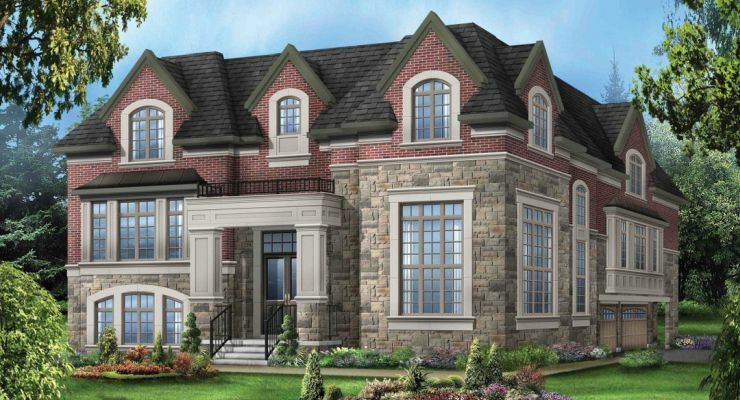 That’s where Willowdale Heights stands out because developer LiVante Developments is building a collection of luxury freehold detached homes in one of the most desirable areas of North York. It’s an area with access to the subway, some of the best schools in the city, and lots of well-established communities. It’s not often that new homes like this become available in Toronto and that’s what makes this project stand out as one of the hottest in the city right now. 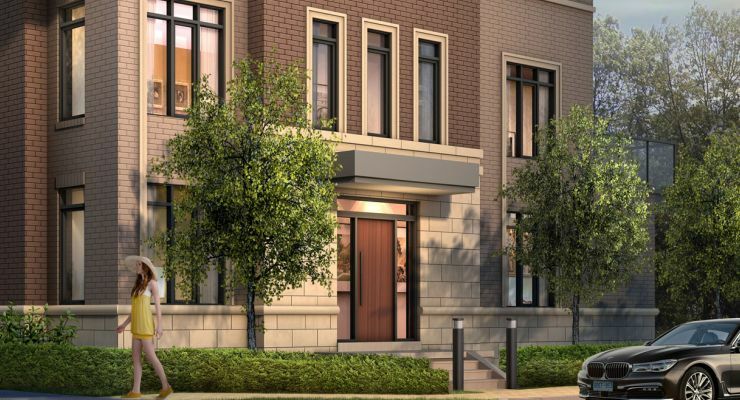 Situated in desirable Thornhill, this townhome development is appealing for it’s tasteful, luxury homes and the special incentives to buyers. The two-phase development will add a range of townhomes with sleek, modern designs that offer up to four bedrooms and one or two-car garages. It is located in a family-friendly neighbourhood close to amenities like Langstaff GO Station, access to Hwy 407 and a business park that is home to some of the biggest high-tech and engineering firms in Canada. In addition to the benefits of living here, buyers can also enjoy a range of incentives exclusive to Living Realty, including VIP pricing and a 0% interest mortgage* for the first year. At a time of rising interest rates, this is a spectacular deal and helps to make this development stand out as one to invest in. *Contact Living Realty for more details on this promotion. Conditions apply.